A trusted name in hydraulic parts and service since 1977, Bernell Hydraulics is here to help. We invite you to utilize our expert services whenever you need hydraulic equipment repair Ontario CA. 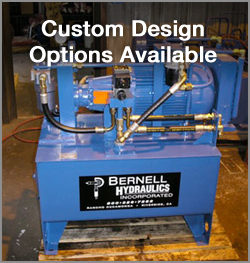 At Bernell Hydraulics, we understand how important it is to keep your hydraulic equipment running and your business operating on schedule. Fortunately, you can turn to us for 24 hour onsite hydraulic equipment repair. All you have to do is dial our phone number and we’ll dispatch a technician just as soon as we can. If you know what’s wrong with your equipment, we can send the necessary replacement part out with the tech to speed the repair process even further. If you like to do your own hydraulic equipment repair work, you can always come to Bernell Hydraulics just to source your parts. You can choose to pick up your parts at one of our stores, have them mailed to you, or even have them delivered straight to your work site. While it’s of course good to know that you can rely on Bernell Hydraulics for hydraulic equipment repair Ontario CA when you need it, wouldn’t you rather avoid the need for emergency repair in the first place? Preventative maintenance and inspections enable you to replace worn parts before they can fail. Our skilled technicians can provide assistance with your recommended maintenance tasks like fluid flushes and filter replacements, as well as run diagnostics on your system to check for other problems. Stay ahead of the game with our preventative maintenance!